On Sunday, November 3, 2002, Mt. 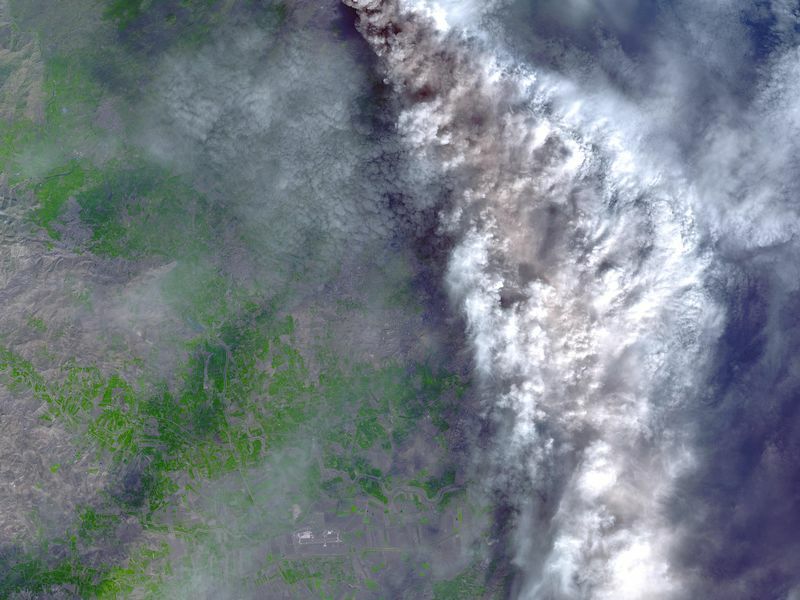 Etna's ash-laden plume was imaged by the Advanced Spaceborne Thermal Emission and Reflection Radiometer (ASTER) on NASA's Terra satellite. The plume is seen blowing toward the south-southeast, over the city and airport of Catania, Sicily. 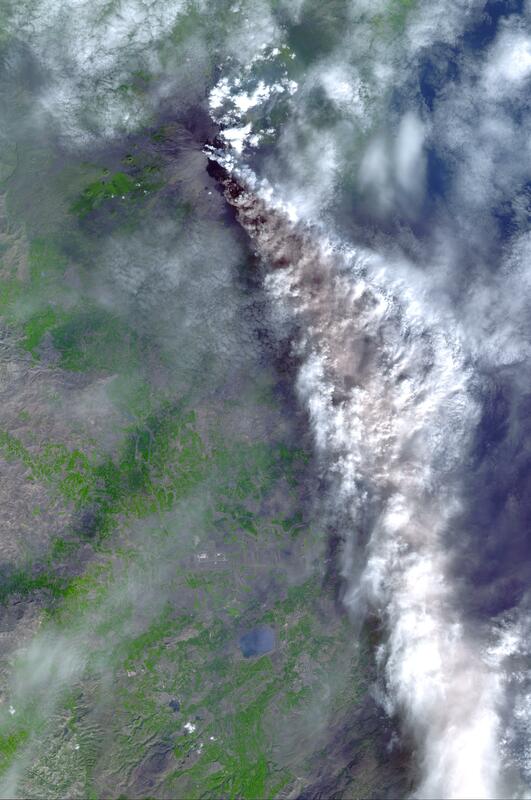 The previous day, the plume was blowing toward the northwest, and posed no hazard to Catania. The current eruption of Mt. Etna, Europe's most active volcano, began on October 27. 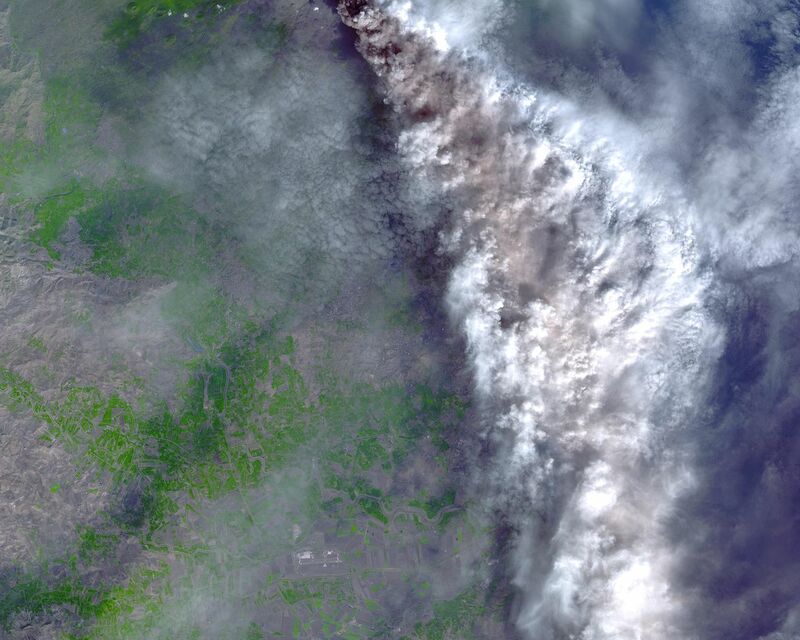 These sorts of observations from space may help civil defense authorities mitigate hazards from active eruptions. 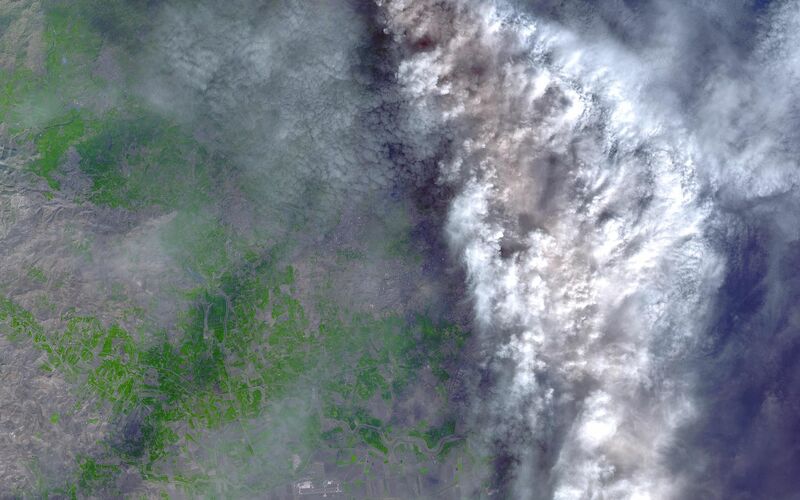 Space data may also help scientists evaluate the behavior and effects volcanic eruptions have on our global climate system. Dr. Anne Kahle at NASA's Jet Propulsion Laboratory, Pasadena, Calif., is the U.S. science team leader; Bjorn Eng of JPL is the project manager. The Terra mission is part of NASA's Earth Science Enterprise, a long-term research effort to understand and protect our home planet. Through the study of Earth, NASA will help to provide sound science to policy and economic decision-makers so as to better life here, while developing the technologies needed to explore the universe and search for life beyond our home planet.